MovementWorks Developmental Dance Movement Programme® is innovative whole body learning. 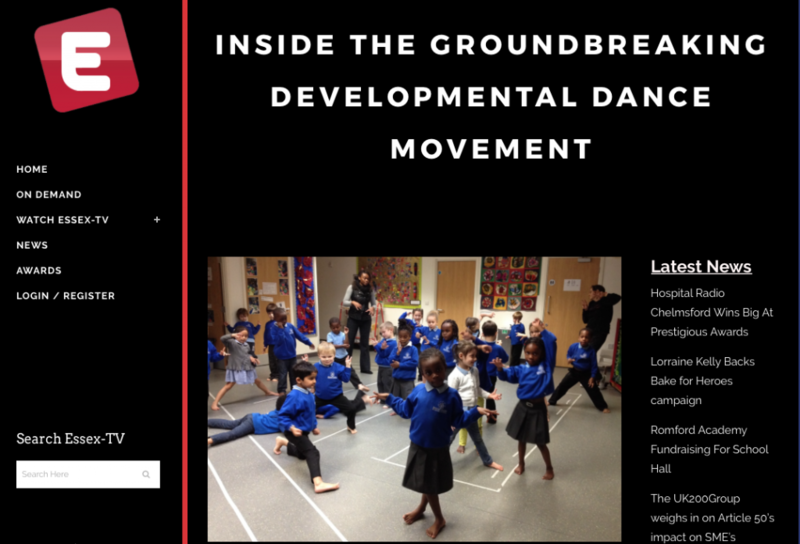 The programme has been designed by an experienced dance practitioner and qualified movement research scientist. 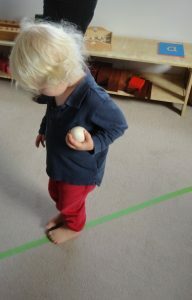 Latest research indicates that almost 90% of children of Reception age have deficits in their physical development. Findings indicate that inadequate motor skills correlate with lower academic attainment. Conversely an appropriate early intervention is likely to have a positive impact on lifelong learning potential. Developmental Dance Movement® is designed specifically for this purpose. The programme can be combined with specially developed integrated progress checks, which assist early years observational practice and early years practitioner professional development, making the work beneficial for both children and their educators. 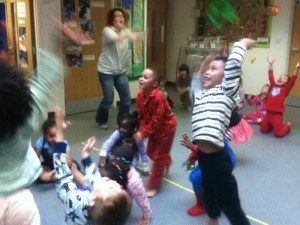 What happens in a Developmental Dance Movement® Session? 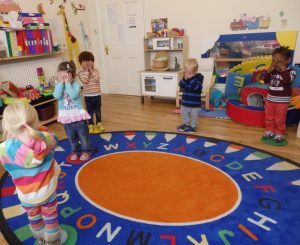 Grounded in rigorous academic research and informed by Montessori observational practice, sessions take the form of various dance movement based games and activities. They are not focused on learning particular dance styles or steps and are therefore appealing to both boys and girls. They are safe, physiologically sound and advocate inclusivity. 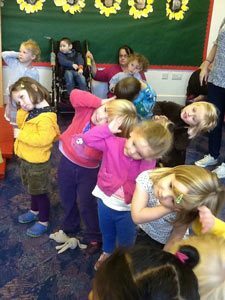 Children are encouraged to practice fundamental physical skills that appropriately stimulate the senses; visual, aural, tactile, vestibular and proprioceptive. This enables the specific co-ordination and control which will most directly assist the developmental maturity required to support school readiness and allow children to excel in all areas of learning. 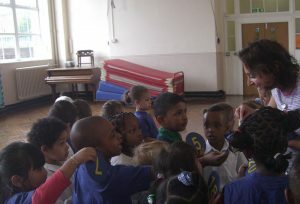 The programme takes into careful consideration both the recreational and educational potential dance has to offer. Sessions closely link with other specific areas of learning, particularly literacy and maths, and so contribute to the forming of a baseline for the National Curriculum. Enjoyable whole body recreational activity fosters the physical, social, emotional and cognitive potential of each child and provides multi-sensory learning opportunities that are complementary to differing learning dispositions and needs. Essex TV featured on Developmental Dance Movement® in relation to World Autism Awareness week. Read the full article here.